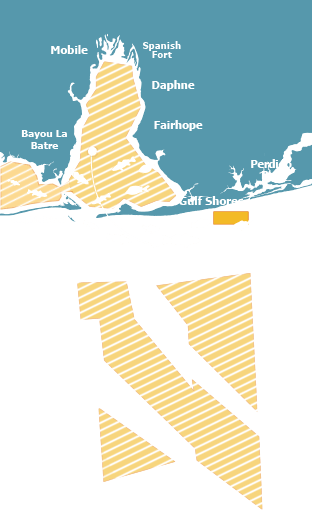 Reef Development PlanAlabama’s Artificial Reef Plan: A proposal for engineered reef deployment and marine resource management. Nearshore reefs play an integral role in the ecological and economic productivity of Alabama’s artificial reef system, providing a transitional habitat for a variety of native fish species as they outgrow their inshore juvenile habitats and move offshore to their adult reef habitats. 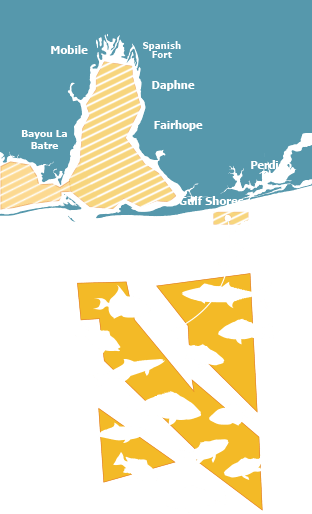 Nearshore reefs also provide a temporary home for certain species of fish during their annual migratory patterns. Nearshore reef enhancements will focus on:. Deployment of additional juvenile fish shelters to provide refuge from predators. Development of a snorkeling reef complex. Create additional nearshore reef areas 2-3 nautical miles offshore. Create additional reefs within the newly zoned waters up to 9 nautical miles off the coast. Utilize scanning technology to characterize the seabed. Deploying low-relief habitats on sandy substrates for increased juvenile habitats. Deploying exceptionally high-relief structures to diversify reef habitats. Deploying large ships for the development of recreational dive sites. Deploying 6’ pyramids within the planned reef zones six to nine nautical miles off the coast. 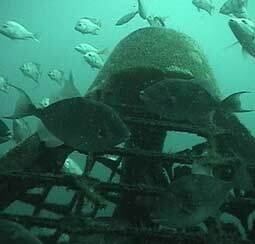 Academic research to evaluate production rates of newly created artificial reef sites.